Welcome back! Today’s expose is on ZS Associates (pronounced Zee S in the U.S.) – a premier boutique firm focused on salesforce and marketing optimization. Where did ZS Associates begin, and what are they known for? Founded in 1983 by Kellogg School of Management marketing professors Andris A. Zoltners and Prabhakant Sinha (the Z and the S), the firm has built a reputation for taking things apart, seeing how they work, and putting them back together in much better condition than before. Well, needless to say, in a company where both founders are Ph.D. holders – one studied integral programming algorithms and the other researched the use of higher math in meal planning in the military – it’s safe to say that this is a firm founded on intelligence, excellence, and genius insight. As mentioned earlier, founders Andy Zoltners and Prabha Sinha met when both were Ph. D. students in 1973-74 studying integer programming algorithms and higher math in meal planning for the military, respectively. They got together and co-wrote a paper on Multiple Choice Knapsack. Upon realizing that their findings were highly applicable to the problems of sales force sizing and resource allocation, they decided to investigate further. In 1982, Andy presented his and Prabha’s mathematical models for sales force sizing and territory alignment to the Pharmaceutical Management Science Association (PMSA), using an early Apple computer to display sales territories on-site. This was a eureka moment not just for Andy & Prabhas but also for all the executives attending the seminar from multiple companies. They were stunned by the duo’s model’s accuracy and its ability to solve sales force sizing, sales resource allocation, and territory alignment issues! It was a romantic moment when the executives found the solution they were waiting all their lives for! For Z and S, the conference launched opportunities to consult on the many client projects that came their way. During the day, they lectured at Northwestern’s Kellogg School of Management and by night worked on their client needs. After a full year of research, study, and working on projects for several companies to gain experience, the Ph.D. duo started ZS Associates on September 21, 1983 with two dozen employees. By 1986, ZS had helped eight of the ten world’s largest pharmaceutical companies size sales forces and align territories in USA, Canada, and Europe. Not only that – by then, this 2-year-old company had worked on at least 100 projects in a dozen countries with only a 25-member team! It keeps getting better. In 1987, ZS was employed by a large U.S. corporation to reorganize, redesign, and reallocate U.S. sales force teams. It was the mother of all projects. They came up with incredible solutions in change management and supporting tools for the human resources side of marketing and sales. ZS also began working on an incentive compensation package design which helped employers create lucrative incentive package for their sales teams. In the 90s, ZS evolved by developing a new sales force effectiveness and productivity framework, data warehouses for clients, as well as a range of analytical services, data-handling capabilities, and rigorous analytics to the marketing research function. The firm also introduced specialized software, processes, and dedicated teams to focus on the growing opportunity in administering sales force incentive compensation programs. In 2002, ZS launched a Marketing Research practice, which eventually evolved to an even broader Marketing solutions area. In 2004, the Institute for Operations Research and the Management Sciences (INFORMS) awarded Andy and Prabha the Marketing Science Practice Prize for outstanding implementation of marketing science concepts and methods, recognizing the sales territory alignment system they had developed and implemented through the work of ZS Associates. Their winning paper, Sales Territory Design: 30 Years of Modeling and Implementation, was subsequently published in the INFORMS journal, Marketing Science. In 2007, ZS Associates crossed over a major threshold – with more than 1000 employees, the firm completed 2,000 projects in a single year for 300 clients in 28 different industries and 38 different countries! In 2008, the firm celebrated their silver anniversary of 25 years of extraordinary growth. Not bad for some academics with a basic algorithmic model on an early Apple computer! For the last 30 years, ZS Associates has led the way in solving complex sales force issues and marketing challenges by combining science and hands-on experience. The firm is a strong niche player, distinguished in its speciality of sales and marketing consulting. Its recommended outputs yield greater revenue, lower costs, increase productivity and improve overall business performance. As of March 1, 2016, ZS announced that its Business Technology group has been rated at Level 3 of the CMMI Institute’s Capability Maturity Model Integration Development V 1.3. What does this mean? CMMI® (a subsidiary of Carnegie Mellon University dedicated to elevating organizational performance through best-in-class solutions to real-world challenges) is a capability improvement approach that provides organizations with the essential elements of effective processes that ultimately improve their performance. An appraisal at maturity level 3 indicates the organization is performing at a “defined” maturity level. At this level, processes are well characterized and understood, and are described in standards, procedures, tools and methods. Some of ZS Associates’ competitors are Deloitte LLP, Accenture, and IMS Consulting group. Does ZS Associates sound like the firm for you? Marketing: Customer Insights, Customer Segmentation, Forecasting, Marketing Mix, Marketing Performance Measurement and Optimization Value Proposition. Sales: Business Intelligence, Customer Targeting and Activity Planning, Go-to-Market Strategy and Transformation, Sales Channel Strategy and Management, Sales Compensation, Sales Force Design, Sales Force Effectiveness, Territory Management. Sales & Marketing Operations and Technology: Analytics Process Outsourcing, Data Scientist Services Information Management and Reporting Administration, Mobility Services, Sales Compensation Administration,Territory & Account Planning Administration. Where you go from ZS Associates all depends on why you desire to exit the firm. Usually, the route is to apply for MBB (McKinsey Bain, BCG). But the trend – based on the firm’s academic history – has also been that employees would exit to study further to get perhaps an MBA or Ph.D. in math or analytics, or (in recent years) even a Masters in Data Analytics or Data Science. Because this is a firm that built its reputation in pharma, exit opportunities can be limited because employees may be seen as specialists compared to pure strategy firms. MBB does have its fingers dug in these areas and are quite solid too, but their prime focus is on strategy and operations in other industries. If you do start your career with ZS Associates, other places conducive for you to move into are speciality boutique firms like L.E.K. Consulting, Charles River Associates, Buck Consultants, Bates White, Huron Consulting Group, ClearView Healthcare Partners, Infosys, and Lodestone – to name a few. Read enough to know ZS Associates is the firm for you? Click to see when the next cohort of our accelerated interview prep program starts. Many people consider ZS Associates a good place to start their career – we feel the same. It’s a great place to begin work after college to put to practice all that was thought in theory. The company has very a good work environment where your mind is challenged with good meaty work. Teams are built in such a way that each member brings his or her best to the table. The teams learn so much from the leaders, where a value for 100% accuracy is instilled in the team members (not surprising for a firm respected for its advanced modeling capabilities). At ZS Associates, 90% of the work is focused in life sciences, which continues to be one of the largest industry sectors and also the fastest-growing. ZS Associates also provides open doors to working on multiple projects at a time. ZS offers its employees many opportunities to travel to its international locations; however, be open to working nights and early US mornings with teams across cultures and geographies such as India. However, all wondrous places have some cons – the firm is still stuck a bit culturally in the 80s. The work process is not high on flexibility and consultants put in crazy long hours of work – 10 hours a day is a not-so-busy day at ZS Associates. Also, there are many layers of review before a presentation or document is actually finalized – understandable due to the firm’s core values of excellence and accuracy, but it eats into time. While pay is strong overall, benefits are good too, the bonuses are not as large as some other consulting firms. Also – the work gets repetitive and work-life balance is not the best. Most of ZS Associates’ top management are old timers, which fosters a typical pharma-consulting-members-only-club leadership style that beats down some of the fresh, forward-thinking millennials. At ZS Associates, 57% of hiring comes from campus recruitment, 26% apply online, 10% through employee referrals and 7% through hiring agencies. The entire process of hiring takes from two weeks to three months. After applying through any of these options, expect to receive an email in two weeks scheduling you for a phone interview. Phone interviews usually include a case and behavioral interview. The second round interview has more rigorous case interviews, and the candidate is asked to present the conclusions to an Associate. Second round interviews also include an analytical interview (market sizing), and a challenging behavioral interview. ZS also hires candidates who are in their final year of Bachelor’s or Master’s degree programs at universities at which they conduct on-campus recruiting. Positions such as Interns and Analysts are typically for those pursuing degrees in Business Administration, Management, CS, MIS, or related disciplines – ZS highly values technical and analytical modeling abilities. A demonstrated record of academic success is required and fluency in English is required; additional fluency in at least one European or Asian language is desirable. Nervous about your case and behavioral chances? 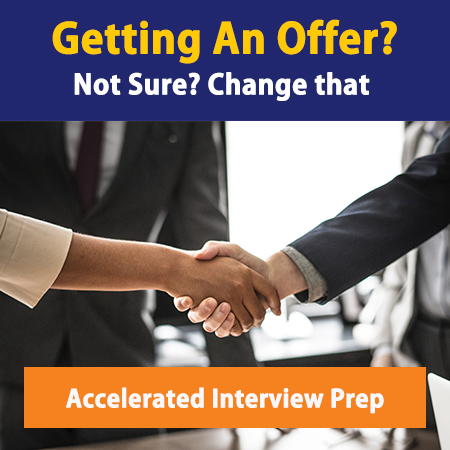 Click to check out our accelerated interview prep program. Networking your way into a position at ZS Associates is not very difficult if you’ve got the right education and experience. The firm is growing, and currently looking to fill multiple positions. The firm hosts info sessions and career fairs at dozens of schools across the US. Access their events calendar to find out when and where you can network with someone from the firm and make sure you have your consulting-ready resume ready to leave with them. Secondly, set up your LinkedIn profile and search for ZS Associates employees in your network. LinkedIn shows around 4300 firm employees worldwide, so it’s possible you know someone who knows someone at ZS Associates. If providing strategic marketing advice is your passion, you’ll be a great fit at ZS Associates.